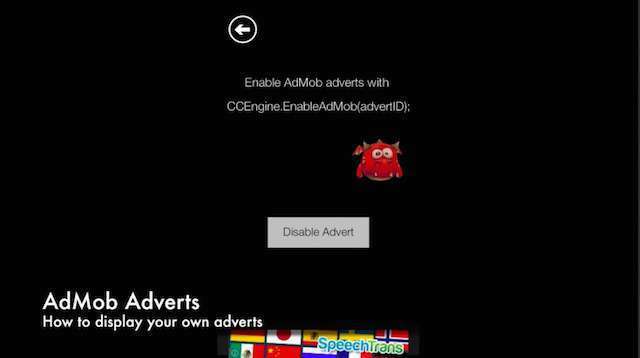 In this tutorial we show you how to get a Google AdMob advert to appear with a single line of code. I started getting into InkScape recently, but struggled to get it running well on a multi-monitor set up of OSX Mavericks. Then: When you run Inscape for the first time, you'll be asked where X11 is? If done correctly, Inscape will launch, but fill up the incorrect screen. So click on XQuartz in the dock. Go to it's preferences from the menu bar, and make sure Full-screen mode is enabled. To change which monitor Inscape will be rendered on, go to the Dock, right click on XQuartz > options > select which Desktop it should be displayed on. Hey guys, just wanted to give you a quick update on PLAYIR's new level editor. Previously, all the assets and level information would be stored in an array on the server, and sent down to the clients on connection. The reasoning behind this is simple. Instead of having two control points for the level functionality (data driven server initiated spawns, and overridden source code). All the data is now written with the appropriate function calls necessary to work in one place. Which makes it easier to deduce how the levels are put together, and lowers the bar for jumping in and hacking the code to extend functionality. The interface is still the same, but you can now select the .js file in the settings menu on the right, and see how the code looks like. As well as edit the code and have it instantly re-imported back into the Level Editor. Another thing to note is the new Online Session option, which allows you to connect to an online session by default using the same level class. An online session is just a room where users connect into to share the same online events (i.e. player movement, player attacks, etc.). The default online session is the BattleRoyale, which is shared with the Phone Wars game, so you can do some fun things such as mix in a fighting game into an overhead shooter game. But you can also create your own online sessions, and make them public or private as you wish. For a more solid example of how it all comes together, just create a new (or re-import the) Fighting Game project. There, you'll see an example WOFArea level, which is used as a base class for the SceneGameWOF level that contains the fighting game logic.